Microsoft is holding a Solitaire tournament for its classic game. Microsoft Solitaire Is 25. Join the Tournament! 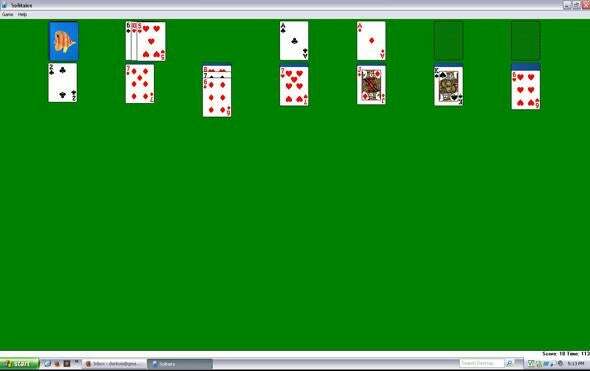 The best part of encountering an old PC—whether it’s your ancient IBM Thinkpad or your great-aunt’s Gateway desktop—is playing Solitaire on a long-obsolete version of Windows. Change the card art to the spooky castle and go nuts. And for the beloved classic’s 25th birthday, Microsoft is launching two tournaments to identify the ultimate Solitaire addicts. Microsoft offers a whole Solitaire Collection for download now, but there’s nothing like the original that first awakened pure digital procrastination in each of us. And by the way, if you haven’t played FreeCell in a while, it’s still a nightmare.